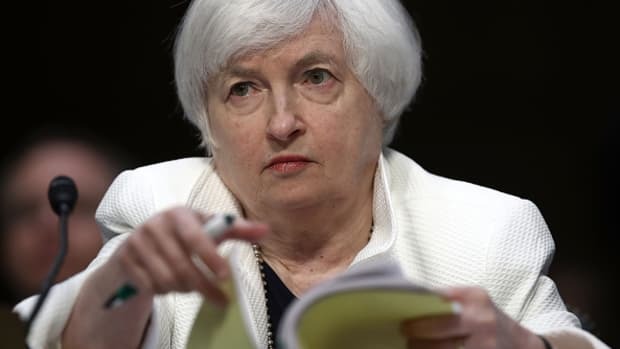 As everyone expected, the Federal Reserve&apos;s Open Market Committee decided not to change interest rates. Everyone&apos;s focus will be on the statement accompanying the decision. It&apos;s a nuanced statement that definitely emphasizes the danger of inflation over than the danger of recession. Downside risks to growth have "diminished" while upside risks of inflation have "increased." Household spending is "firming." There was one dissenter, Richard Fisher, who would have raised rates now. The language regarding Financial markets remains unchanged: they&apos;re under "considerable stress." Our takeaway: On the one hand, the statement at least shows that the Fed is well-situated in the reality based community. On the other, Bernanke is going all Greenspan. Interest rates are going up but no one knows exactly when. Leans earlier rather than later, maybe as early as September. 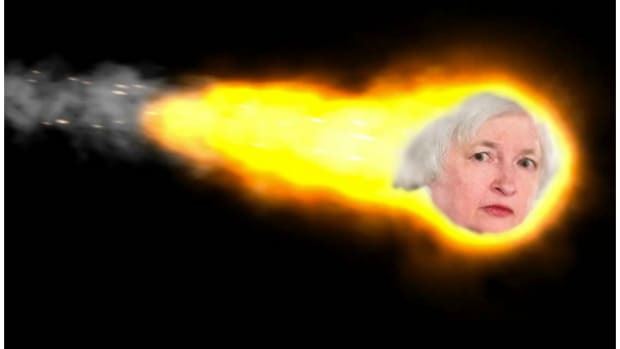 With Barack Obama blowing away John McCain in the polls, the Fed probably doesn&apos;t have to worry about raising rates before the election. If the election looks inevitable anyway, you don&apos;t worry about influencing its outcome. This should be a positive for the dollar&apos;s strength since it shows that the Euro isn&apos;t the only currency looking toward higher interest rates. But what do we know? Give us your interpretation in comments. Full statement after the jump.